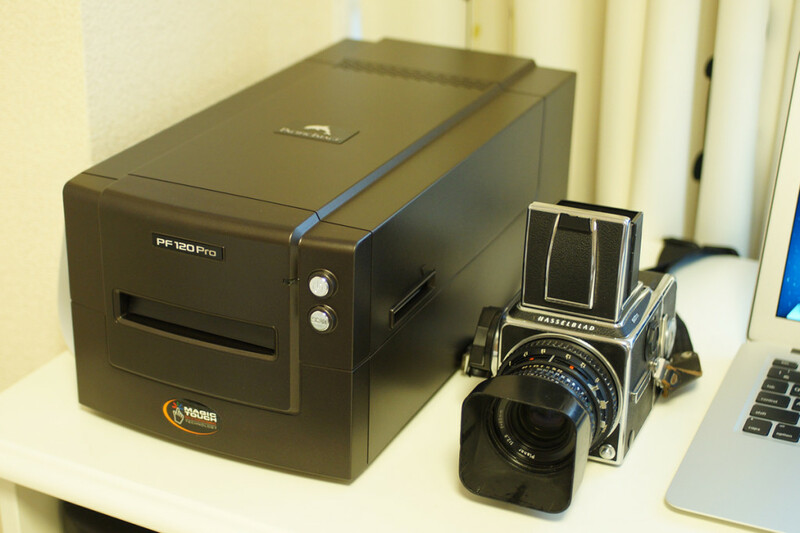 I got the new film scanner PrimeFilm120(PF120) made by Pacific image. The PF120 can scan not only 35mm also Brownie film, 6×4.5, 6×6, 6×7, 6×8, 6×9, 6x12mm. I used flat bed scanner EPSON GT-X900 before, but it couldn’t gratify my expected. I will upload the samples soon.